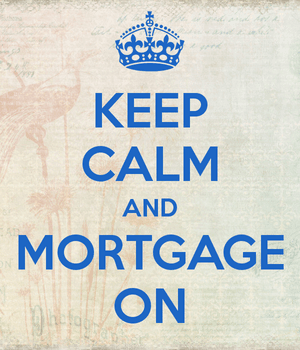 Cash Out Your First Mortgage or Take Out a HELOC/Home Equity Loan? Yes, this is a three-way battle, unlike the typical two-way duels found in my ongoing series. Let’s discuss these options with the help of a real-life story involving a buddy of mine. A friend recently told me he was refinancing his first mortgage and taking cash out to complete some minor renovations. I asked how much cash he was getting and he said something like $30,000. Here in Los Angeles, $30,000 isn’t what I’d call a large amount of cash out. It might be in other parts of the country, or it may not. Regardless, it wasn’t a lot of money relative to his outstanding mortgage balance. I believe his mortgage balance was closer to $500,000, so adding $30,000 is pretty minimal. Anyway, I asked him if he had considered a HELOC or home equity loan as well. He said he hadn’t, and that his loan officer recommended refinancing his first mortgage and pulling out cash. For the record, a loan officer will probably always point you towards the cash out refinance (if it makes sense to do so, hopefully) because it works out to a larger commission since it’s based on full the loan amount. We’re talking $530,000 vs. $30,000. Now the reason I bring up the amount of cash out is the fact that it’s not a lot of money to tap while refinancing a jumbo mortgage. My buddy could just as well have gone to a bank and asked for a line of credit for $30,000, or even applied online for a home equity loan of a similar amount. The upside to either of these alternatives is that there aren’t many closing costs associated (if any). Conversely, a cash out refinance has the typical closing costs found on any other first mortgage, including things like lender fees, origination fee, appraisal, title and escrow, etc. In other words, the cash out refi can cost several thousand dollars, whereas the home equity options may only come with a flat fee of a few hundred bucks, or even zero closing costs. So that brings us to the first advantage of a HELOC or home equity loan; low closing costs. You may also be able to avoid an appraisal if you keep the LTV at/below 80% and the loan amount below some threshold. Another advantage to a HELOC or HEL is that you don’t disrupt your first mortgage, which may already have a nice low fixed rate. It may also be close to paid off, with most payments going toward principal. In that case, you may not want to mess with it. Adding cash out to a first mortgage could also potentially raise the LTV to a point where mortgage insurance would be required; clearly that would be no bueno. Adding a second mortgage via a HELOC or HEL allows you to tap your equity without touching your first mortgage or raising the LTV (just the CLTV). This can be beneficial for the reasons I just mentioned. Now this potential advantage may not actually be an advantage if the rate on your first mortgage is unfavorable, or simply can be improved via a refinance. It turned out that my pal had a 30-year fixed rate somewhere in the 5% range, and was able to get it down into the 4% realm with his cash out refinance. The mortgage was also relatively new, so most payments still went toward interest and resetting the clock wasn’t really an issue. For him, it was a no-brainer to just go ahead and refinance his first mortgage. When everything was said and done, his monthly payment actually dropped because his new interest rate was that much lower, despite the larger loan amount tied to the cash out. Keep in mind that it could go the other way. If you take a lot of cash out on your first mortgage, there’s a chance you could raise the LTV to a point where your interest rate goes up. That, coupled with a larger balance, means a higher monthly payment. For the sake of comparison, let’s assume he had a super low rate of 3.5% on a 30-year fixed. Chances are he wouldn’t be able to beat that rate, even though they’re getting close to those levels again. But this was back when rates were closer to 4%. In this case, he’d maybe be better off going with a HELOC or HEL instead to keep his low rate on the first mortgage intact. That relatively low amount ($30k) also means it can be paid back fairly quickly, as opposed to say a $100,000 HELOC or HEL. The downside to a HELOC is that the rate is variable, tied to the prime rate, which was recently raised for the first time in several years and faces future increases as the economy improves. Fortunately, the low loan amount means he can pay it off quickly if rates really jump, though chances are they’ll slowly inch up .25% every three to six months, if even that (who knows with the Fed). A HELOC also gives you the option to make interest-only payments, and borrow only what you need on the line you apply for. This provides extra flexibility over simply taking out a loan via the cash out refi or HEL. However, if he chose the home equity loan instead, he could lock-in a fixed rate and pay back the loan faster and with less interest. The HEL option gives him the certainty of a fixed interest rate, a relatively low rate, and options to pay it back very quickly, with terms as short as 60 months. For someone who needs money but doesn’t want to pay a lot of interest (and can pay it back pretty quickly), a HEL could be a good, low-cost choice if they’re happy with their first mortgage. Every situation is different, but hopefully this story illustrated some of the pros and cons of each option. Here is a list of the potential advantages and disadvantages of each for the sake of simplicity. HELOC is paid back like a credit card and based on average daily balance. You mentioned the variable rate but failed to mention the above. Also the interest only period is generally only for 10 years then it is fully amortized. Potentially this is a much more expensive loan. Ever look at a credit card with say a $100 balance and $10 mininum payment? HEL could be cheaper but they are usually much shorter term and higher rate.